Milton, Florida, is the perfect setting for one of the region's hottest parks--Adventures Unlimited! Adventures Unlimited delivers an unforgettable Zipline Canopy Tour that will have you screaming for more. Fly high through the air and over the scenic waters of Coldwater Creek below as you make your way through the Elms and the Pine! 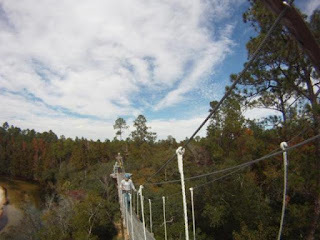 Home to both screaming good times and smoking hot deals, our offering of Milton, Florida, Zipline Tour Coupons 2019 gives you and your family the absolute best prices on Zipline Canopy Tours anywhere! Looking for the best Zipline Tour deals online? Snag your Milton Florida Zipline Tour Coupons here today and get the lowest price, period. 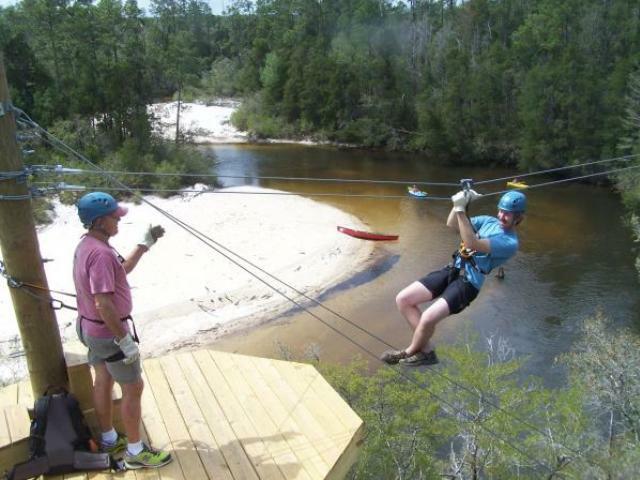 A Milton, Florida, Zipline Tour is the absolute best way to see the beautiful and rugged Northwest Florida forests and inland rivers in all of their glory. Climb up, strap in, and let the friendly folks at Adventures Unlimited facilitate a day that you will not soon forget! A great idea for a family fun day, a business outing, or even first date, Milton, Florida, Zipline Tours are a sweet deal for almost any occasion. Fly like an eagle among the plush Floridian forest canopy and through the narrows as you feel the wind on your face and smell the crisp seasonal air. Behold some totally sweet views from up high in the sky--the likes that local birds and squirrels may even be jealous of! 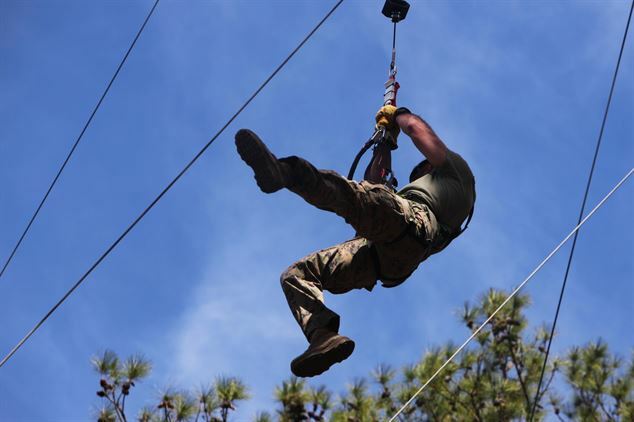 From the first climb and zip to the sparkling waters of the Coldwater Creek, a Zipline Tour is one of our absolute favorite Milton, Florida, attractions because it is effectively exhilarating and relaxing all at the same time! Sounds like fun, right? So what are you waiting for? Check out all of the great offers and deals we have available online today! Want to supercharge your next trip to Milton, Florida? Check out our comprehensive Milton Destination Guide for incredible savings and insights on a variety of attractions and activities! Milton, Florida, Zipline Tour coupons are easy to purchase and use when booking online! Once the E-voucher has been purchased online be sure to have it available on your mobile phone or print out along with a valid photo ID. 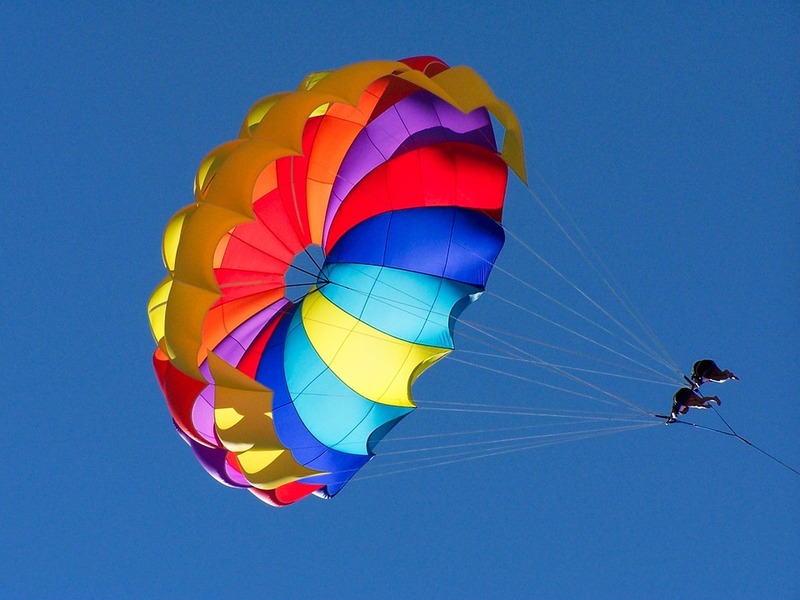 Use the following Milton, Florida, Zipline Tour coupons for the cheapest tour rates. ONLINE SPECIAL - Book ONLINE and save $10! 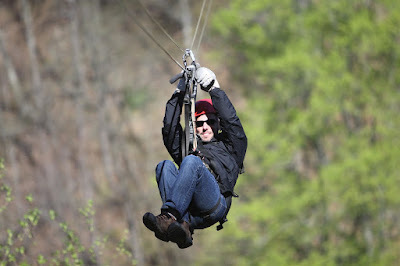 If you love getting high up in the sky then you will definitely love a Milton, Florida, Zipline adventure! Get on over to Adventures Unlimited, gear up, and choose between the Taste of the Tours and Ultimate Double Dip. The Taste of the Tours gives you access to 7 gravity-defying Zipline tracks that are sure to make your knees tremble and heart pump out of your chest! Meanwhile, the Ultimate Double Dip takes you across a network of 12 spectacular Ziplines plus a daring Sky Bridge way up yonder! Test your bravery and make it to the other side to continue your quest on to the finish line! Either tour, you can't go wrong. A fantastic few options for those who love nature and pushing the boundaries, look down on the beautiful Milton wilderness as you float unimpeded over the river onward! Go by yourself or tag along with friends or family members! Get the most BANG FOR YOUR BUCK when you book your tickets for Milton Zipline Tours here online!